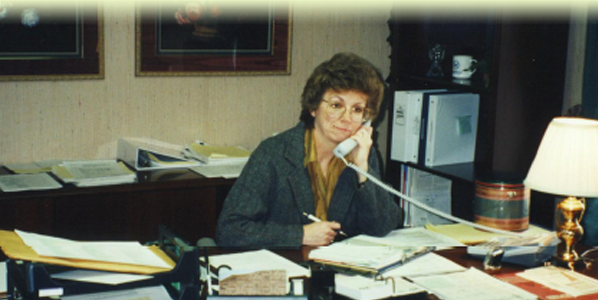 Mary Bickford was a woman of compassion, grace and happiness. Nurturing and caring for her family was the focus of her life. She was always there to lend a helping hand or a listening ear. But then something changed. Mary started doing silly things but then always had an excuse for doing them. She would lose her purse and we would find it behind the TV or hidden in the washing machine. She would say she was afraid someone might break into the house and wanted to put it somewhere it would be safe. With no experience with dementia, we didn't immediately recognize the signs of her disease. Mary's daughter grew increasingly bewildered by her choice of wardrobe and was astounded to discover she hadn't been paying her own income taxes. It just didn't add up. At the recommendation of her doctor, Mary underwent a medical evaluation. We were given devastating news. Mary was diagnosed with Alzheimer's disease. Photo: A candid snapshot of Mary's bizarre wardrobe choices. Recognizing Mary Bickford's increasing needs, Don and Judie Eby began looking at the available options that would give Mary the assistance she needed in an environment that felt like home. After much research it became apparent that there was no place that fit. There were no free-standing assisted living communities in Kansas City and nothing that felt quite like home. Don, an entrepreneur at heart, believed there was an opportunity to pioneer a newly-developing industry. He and Judie made the decision to build the first Bickford Branch, which became an extension of Mary's home. Here, certified caregivers provided for her needs while loving her as family. Our desire was to fashion an environment which nurtured and cared for Mary Bickford just as she had done for us all her years. Everything we did, we did for Mary. Photo: Founder, Don Eby standing on a piece of land in Olathe, KS preparing to build Bickford's first Branch. Mary Bickford moved in as our first resident and told anyone who came through the doors how proud she was of her daughter's "house." Mary became our unofficial welcome wagon, always the first to engage a new Friend of the Family and make them feel right at home. Don's lifelong dream of creating a family business became a reality as his three sons became involved in the business. Mike handled the bookkeeping and accounting, Joe became the handy man and maintenance go-to and Andy maintained the landscaping. (To this day they will tell you Dad just wanted cheap labor.) Don continued to attack every challenge head on while Judie added the sugar and spice and everything nice. A family business from the very beginning, there was rarely a moment an Eby was not in the Branch. Photo: The first Bickford in Olathe, KS. To our surprise and delight, our first Branch reached maximum occupancy about three months after opening. We realized the demand for quality senior care in a homelike environment, such as a Bickford, was staggering. To share what we built for Mary, it was time to formalize and modify our philosophy of care, policies and procedures, and standard practices of business. Bickford's built it's infrastructure around her needs, learning how to interact with families by mirroring our relationships with Mary. As a family, we fell in love with the opportunity to engage in people's lives and share their stories. Based on the success of our first Branch, Bickford opened two new Branches near Kansas City. Photo: Don, Mike and Joe Eby standing in front of the third Bickford office - a step up from their first office in the basement of the Eby family home and their second office housed in the basement of a model duplex. As a relatively new concept to the industry, there wasn't a great deal of distinction between assisted living and nursing home facilities. The Eby family helped form regulations for assisted living in Kansas, transforming a health care model with a social component into a more social model with a health care component. Allowing our Friends of the Family to decide what was truly in their best interests was the goal of the new regulations. 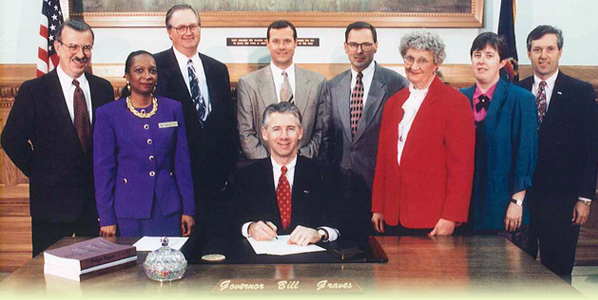 Photo: Don Eby with Governor Graves passing healthcare legislation in Kansas. We began laying the groundwork to transition into a regional company. We researched vendors and established financial partnerships that could offer services across multiple markets. 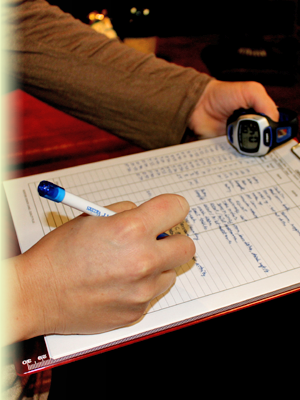 The details of food service and medical supply deliveries consumed hours of the day. When we closed our eyes at night it wasn't sugar plums we saw, but line items and shipping logistics. No longer able to run every errand and sign for every delivery ourselves, we learned how to manage those who would. After establishing and building vendor relationships we were able to continue pushing forward. We soon opened our first Branches outside of Kansas in Iowa and Nebraska. Photo: Don Eby in his office making it happen. 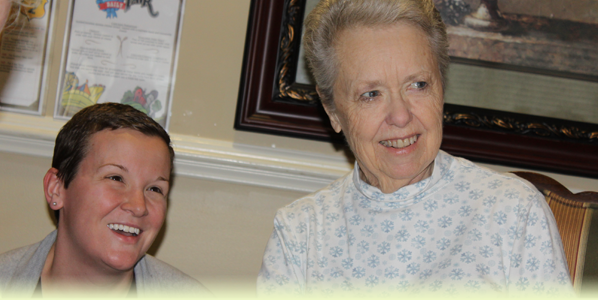 We developed independent living service offerings to complement our assisted living services. The first Branch to offer independent living took the form of a multi-story building, with more spacious apartments and larger activity and socialization areas to enhance active lifestyles of seniors while maintaining their independence. Photo: The first Bickford to offer Independent Living services. We continued to do everything in our power to meet Mary's increasing needs at Bickford as her disease progressed. However, we simply couldn't provide all of the services she needed in the final stages of her battle. 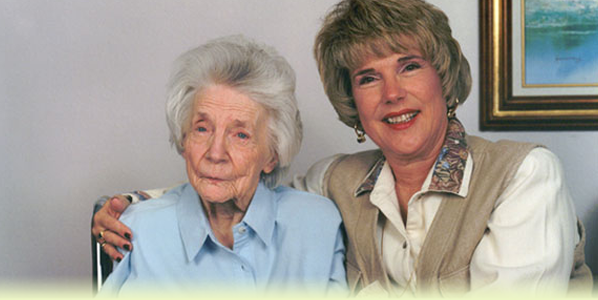 We partnered with home health as well as a hospice agency which worked with those who cared for Mary as we did. Mary passed away from Alzheimer's disease after living at Bickford for seven years. Yet her spirit lives on in every one of our Branches. Mary inspired us to open our first free-standing memory care Branch, enhancing our ability to care for other senior adults living with dementia. Mary's story continues to drive us onward, never settling for what we have but always striving for something better. Enough is never enough for our residents. Photo: Judie Eby with Mary Bickford in her final stages of Dementia. What began out of the quiet need of one very dear person, Mary Bickford, has blossomed into a commitment to our life's work. As the years progress, we continue to define and refine exactly what it is we do. Utilizing every part of our heart and mind, we act, practice, learn and live our Performing Culture - Bickford's transformational way of living. We see the difference culture makes in our Branches. 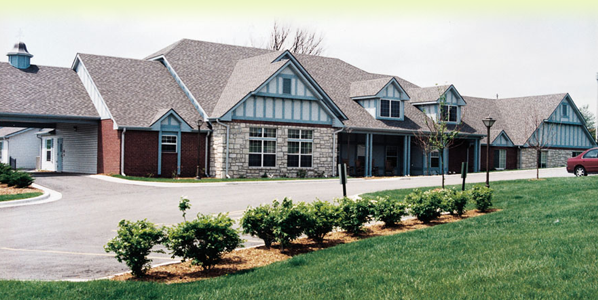 Bickford is what senior living looks like when it becomes personal. There's a difference in our interactions, our philosophy and ultimately the care delivered. By putting people first and welcoming them into our family, we are able to truly live out what we were meant to do - caring for and loving others as we loved Mary. When we formalized Mary Bickford's story, we retold her experiences as "The Seed" to our family tree. As we continue to embrace and pay tribute to her Lifesong, we work to communicate her passion through our service. 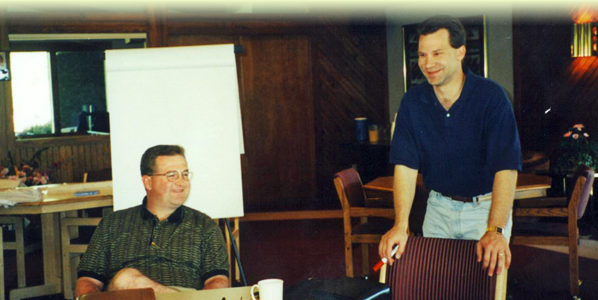 Photo: President, Mike Eby with Vice President, Alan Fairbanks at a company retreat, back in the days when acid washed jeans were trendy. As in Kansas, we worked with the State of Iowa to make their regulations resident-friendly. As a new industry, no federal regulations governed assisted living, leaving each state responsible to decide how to regulate assisted living. Initially, most states used existing nursing home regulations as a guide, but these regulations didn't align with the market-driven nature of assisted living. The ultimate goal of regulation is to protect the safety of the resident, but not hinder their right to decide where they want to live. To ensure this goal is met, we partnered with families to become their advocate with the regulators, giving voice to their concerns and wishes. Our joint efforts strengthened resident rights by giving residents more choices. At Bickford, our policies and procedures often exceed state standards, ensuring our Friends of the Family always receive the best care possible. Photo: Judy Swartzell, Senior Vice President of Resident Services, started over 20 years ago and was the first nurse that Don Eby hired. We pulled this photo out of the old, dusty box in the closet. She's not too happy about it. We continued to invest in our residents' safety by purchasing and implementing an active monitoring, resident call and security system. Utilizing pendants and watches allows us to be the push of a button away. This high-tech system enhances our residents' ability to maintain their individuality and personal space while still maintaining their security at the same time. Additionally, every Branch is secured with key codes at each entrance and alarms to instantly alert Family Members to visitors or potential safety hazards. The happiness and safety of our residents is our top priority. Photo: Bickford resident sporting one of our security watches. While an industry focus is to build bigger buildings to increase efficiency, we made the choice to build smaller Branches in smaller communities. Maintaining a home-like environment to suit both smaller and larger markets was a new challenge we were excited to tackle. Our operating models prove that smaller and more intimate settings can and do work in the senior living industry, contrary to the conventional wisdom. We celebrated our 15-year anniversary this year! We also implemented Quality Plus, a revolutionary system which ensures each resident's care needs are communicated through their service plans. 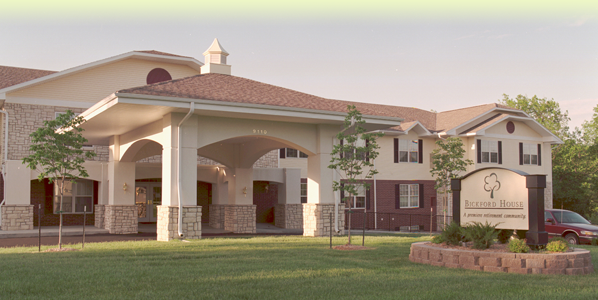 Quality Plus allowed each Branch to become seamlessly orchestrated around resident needs. From staffing to meal preparation, activity schedules to special events, laundry schedules to housekeeping responsibilities, we organize everything we do around the the services our residents need when they need them delivered. It takes a great deal of consistency and organization to deliver on that expectation, but our Bickford Family Members proved they're up to the challenge. Don's goal, from his early days on the farm, was to have a family business. "I always wanted to make a difference in people's lives and I felt like I did this more effectively in business," he said. "We don't settle for good enough; we constantly push ourselves to be great, to stay ahead of the rest because our residents deserve the best." This belief transformed Don's business skills into something bigger and better than he dared imagine. Don instilled his boys with his vision and Bickford's core values which they were determined to continue. Sons Mike, Joe and Andy became the owners and were immediately faced with difficult decisions. Making the choice to weather the economic storm when other easier options were available was one of the toughest decisions they've ever had to make. Their desire to prepare the company for its trials ahead outweighed the fear at facing the economic turbulence. Their desire was to continue the legacy left them by their parents and grandparents. 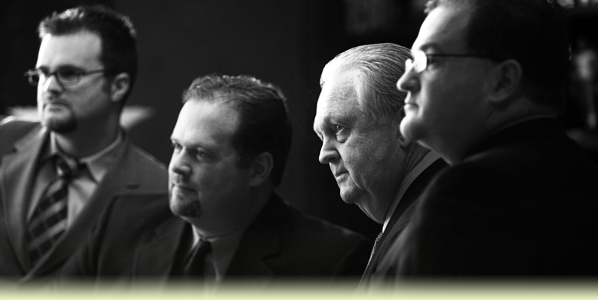 Photo: Andy, Joe, Don and Mike Eby, always moving forward. We continued to grow, against the odds, by completing our first-ever acquisition. Many businesses elected to cut employee benefits and the services they offer, in the face of the greatest economic crisis since the Great Depression. However, we cut neither. Digging in like never before, Mike, Joe and Andy found ways to reinvent themselves and the company. By refocusing their efforts, they found ways to enhance the care and services we provide to our residents while still maintaining our commitment to our Family Members. Don's philosophy of "by taking care of the caregivers, they'll take care of your residents" proved to be a timeless truth during these difficult times. Realizing the importance of food delivery, quality, and consistency, we increased our investment in food service. We welcomed into the family our first executive chef. Through the introduction of new menus, improved dietician oversight and quality control, we began delivering a higher standard of dining for our residents. In turn, the homemade meals we serve at our Family Table are of the same caliber we deliver at our own tables. Photo: Joe, Mike and Andy Eby discussing serious issues at the Bickford Family Reunion, i.e. when does the pretzel bar come out?!? There is a picture of what heaven will look like—and it is a picture of the lion and lamb. The very idea that a lion and a lamb could live in peaceful co-existence seems ridiculous to us. The lion, by its very nature would destroy the lamb without hesitation. The lamb, in weakness and innocence, would never survive. The lion is strong and proud. The lion is a conqueror who defends his territory and rules his domain. He is the king of the jungle, the mighty warrior, the regal ruler of his kingdom. He is a noble animal. We are drawn to him by the sheer magnitude of his power and will. It is within his very being to attack and battle, even to the very end. The lamb is beautiful and pure. While a symbol of new life, it also becomes a symbol of sacrifice, laying down its life for others. The spotless lamb draws us closer, a promise of safety and youth. Nothing seems more vulnerable than a lamb; nothing promises us more to remind of us life and love. 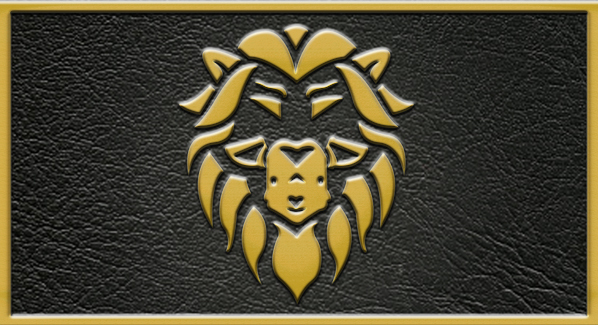 We at Bickford have known both a lion and a lamb. Without them, none of the rest of us would even have a Bickford today. Without our precious, innocent and sweet Mary Bickford, who became vulnerable to disease and age, we would have never had a reason to exist. In a very real way, she laid down her life so that so many others could come to call Bickford home. She is the spirit behind all we do. 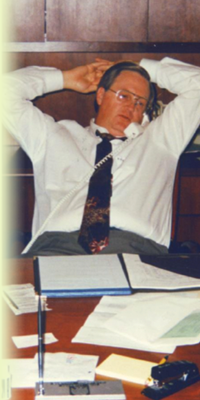 And without our fearless leader, our noble and mighty warrior, Don Eby, Bickford would have never become a reality. He fought for us before we even existed, he created this kingdom we call Bickford and he ruled over us with a ferocious pride and love that nothing could conquer. He is the strength that keeps us going forward. March 25, 2010 was a sad day for Bickford, when we lost our majestic conqueror. He fought to the very end. He never gave up. But it was a happy day in heaven. You see, it was Mary Bickford’s birthday and a new guest of honor arrived, especially for her. The lion and the lamb came together again. I think, for us, the best gift we could ever give would be to fight for our friends with all our might, just as he did, and to continue giving our all, just as she did. After spending a great deal of time in the trenches, we began to reap the rewards of investing all of our time and energy into resident services and happiness. The transformation of the company model under the leadership of Mary's grandsons finally "clicked." From our struggles, we gained the confidence to always do what is in the best interest of our residents, through the good times and the bad. With the knowledge that residents will always benefit from having a more involved Directing Family Group, including the Director and RN Coordinator, we resolved to increase those interactions by getting our Directors out of their offices and into their Branch. Our efforts to become a paperless company continued to improve and streamline the number of personal interactions with our Friends of the Family. As the organization continued to grow, a major initiative was to stay small while growing bigger. We knew we needed to improve the basic communication and expectations of our performing culture. Our belief was the only way to consistently impart our performing culture that makes Bickford so unique was through daily communication – our Daily Roots meeting. Held on every shift, every day, the Daily Roots meeting brought every Bickford Family Member together to consistently go back to who we are and the expectations of how we do it. For several years we had made great strides in food service but felt like it was missing its own identity. 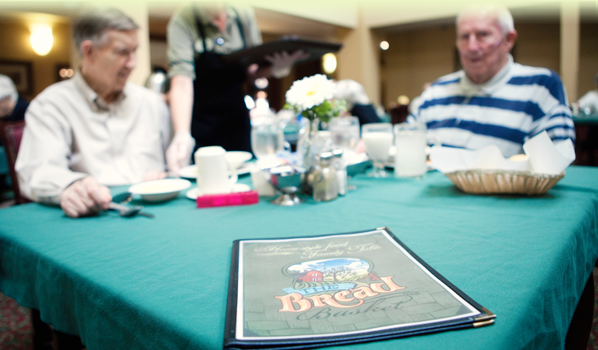 Through formally developing the brand of The Bread Basket, our dining experience gained its proper importance. With every meal made from scratch, we brought home-style food to the family table. Believing that our homelike environment is truly one of a kind, we were eager to share it with everyone we could. In our first venture outside of the Midwest, we began expanding Bickford's regional service offerings into a national footprint. And we were only just beginning.